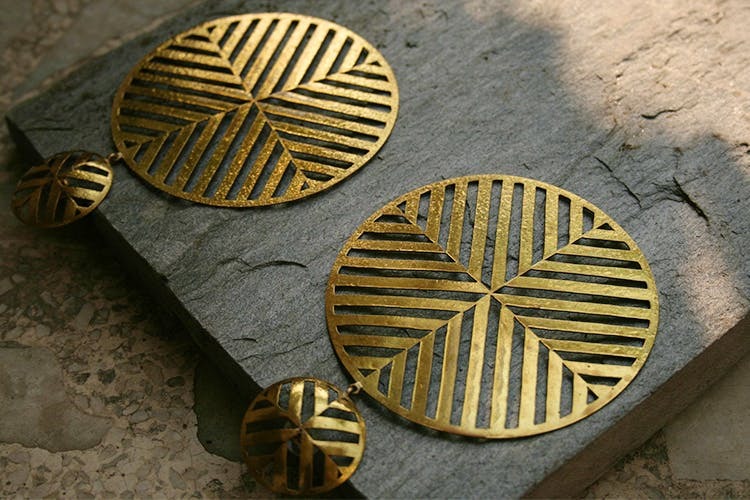 Niiaashi, a minimalist jewellery brand, has had exhibitions across pop-ups, but if you've missed it, this is a good time to stock up on their evergreen jewellery. Tassels are so 2018, and we're also done with the usual kitsch that we used to dig at some point. Enter clean, handmade designs (all created by gifted artisans) that are big enough to be noticed without shouting out loud, and we’re instantly sold. The play on geometric shapes and clean lines are a welcome relief, too. Our favourites are the earrings, ear cuffs, and rings. We love that these can make the transition from workwear to party-ready, and really jazz up an outfit. It’s honestly a good investment for someone who likes to keep it contemporary and doesn’t mind a few statement pieces to add to the collection. We would love to see Niiaashi’s take on anklets and nose pins. Oh, and yes, they’re priced on the higher side (chokers for 3K upwards and earrings between 1,200 and 5k). Keep your jewellery safe from heat and moisture, and don’t ever consider using detergent or toothpaste to wash them.